Everyone knows that life is a variety of ups and downs, mountains and valleys: sometimes we experience seasons of plenty and sometimes seasons of need. As Christians we are taught to rejoice always and to be content in every circumstance: whether well-fed or hungry, whether living in plenty or in want (Philippians 4:11-13). It's easy to rejoice when all is well and abundance is evident, but during times of lack and struggle, it's hard to remember joy. Sometimes joy is a decision, an act of will, a decision to look forward instead of back or to the sides and lean toward our Good Father who has our ultimate well-being in mind. We can rejoice in the hard stuff, because we believe that rescue is coming. Missionary life is really just like normal life: ups and downs, victories and struggles, plenty and lack. This is true in ministry just as it is true in "regular life". Sometimes we see lots of fruit in our work and we feel like we're really accomplishing things. Other times we feel like a gardener looking out over a plot of ground wondering, "Will those seeds ever sprout? Was all that work in vain?" 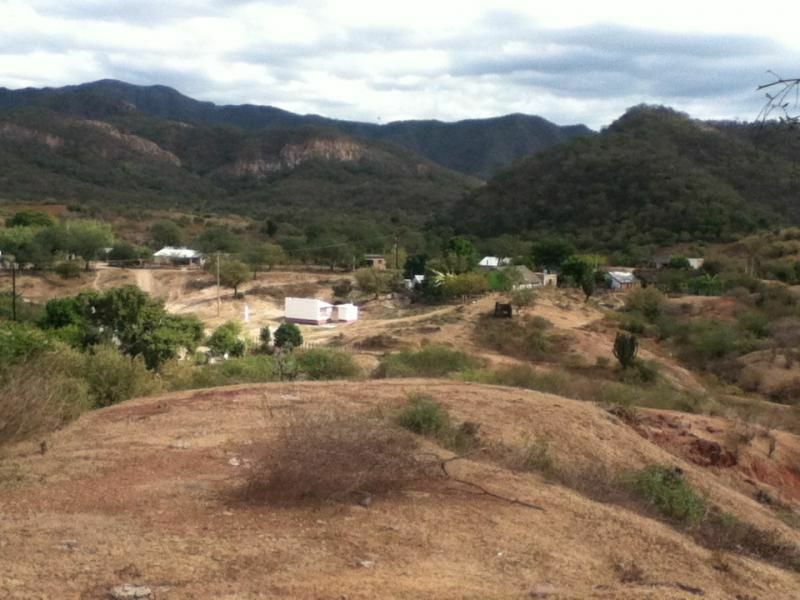 The village of La Pitahaya has been for many years, a plot of hard, dry soil which refused to produce. Many missionaries have visited this small fishing town and have seen little to no fruit. On our first visit, almost 9 years ago, we saw a glimmer of hope as several of the ladies expressed a desire to host a Bible study. When the team arrived for the study, though, the town was a ghost town. Even the dogs were hiding indoors. The small bit of fruit that looked to be growing had shriveled and died because of persecution. It was a discouraging time for us. Shortly after that, though, we met a man named Julio. He was a rough character with a perpetual scowl. He was also the father-in-law of Doug's friend, Esteban. Julio's father and 7 brothers were the driving force of La Pitahaya, but it was not a force for good. We invited Julio and several others to a Billy Graham crusade that was being televised in Spanish at our neighbors', the Petit's, house and surprisingly, he came. When the end of the crusade came and an invitation was made to pray, everyone wanted to pray. 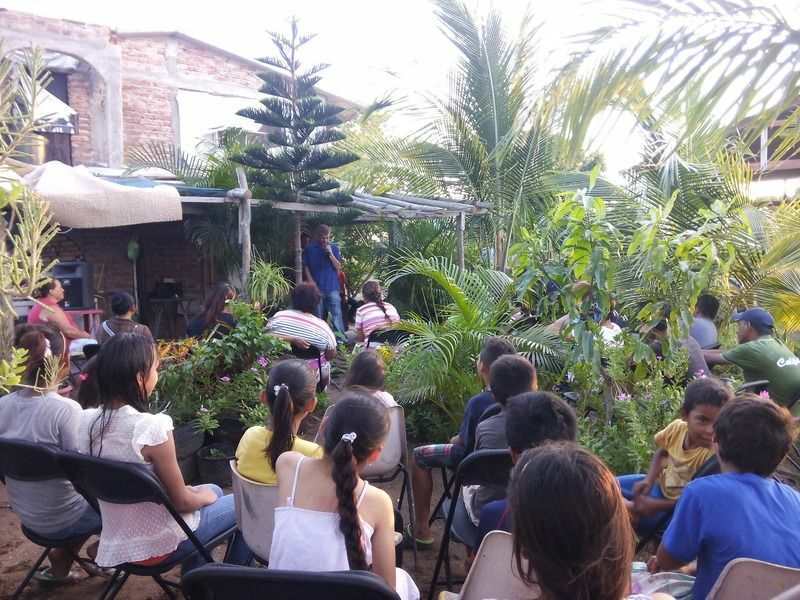 So we started a beginner's Bible study in Las Glorias and began a process that is still growing today. Slowly and steadily, God began working in hearts and lives. Now, 9 years later, everyone who attended those first meetings is still seeking the Lord, and more have joined us. Who would have dreamed that the drunken, drug addicted rebel Julio would one day dedicate his home as a "House of Peace" in the village of La Pitahaya? Who could have imagined that his bitter, angry father, Huichi, would have cried out to God for forgiveness and asked that his home be used for God's glory? Now Julio's desire is to reach his family and his neighbors with the gospel of Jesus Christ. Huichi died nearly two years ago, but he died in peace with God instead of angry with Him. In August of last year, Doug had the privilege of marrying Julio and Lupita. Such joy and such love was expressed in their faces when they stood to proclaim their vows to one another. Family and friends stood with mouths open in awe of the way this couple has been transformed over the past years. God has indeed done a marvelous work! Now when we drive into La Pitahaya, we are greeted with smiling, laughing children running toward us; we are welcomed instead of shunned. 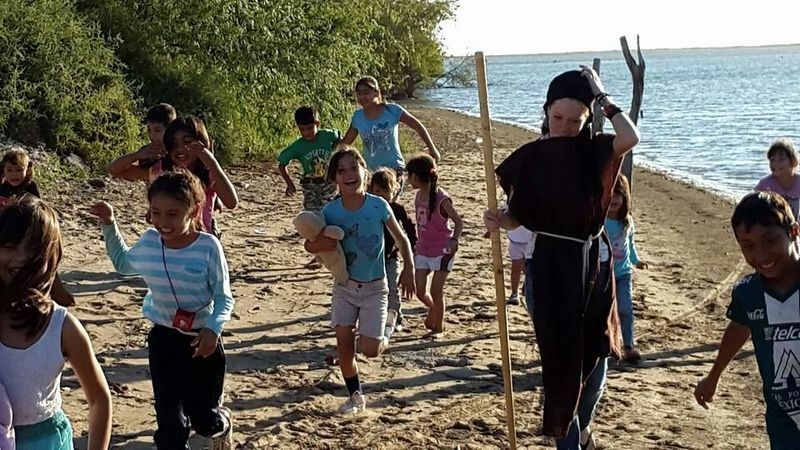 One life at a time, God is transforming this small Mexican fishing village before our eyes. All we can do is say thank you to God for the times of want, because without them we wouldn't grasp the sweetness of the times of plenty. Pray for the new leadership team of Jeremias, Julio and Lupita while we are in the States and Joaquin and Luz are in Hermosillo for the next month. Praise God that the work in La Pitahay and Las Glorias has continued and is actually flourishing even in the absence of key leaders. Pray with us for the property which belonged to Julio's father, which is where the Church is meeting now. The family (including all of Julio's brothers) would like to see it used for good, but they want to sell it. The asking price is about $7000usd. Pray for the soccer outreaches in Las Flores, Las Cañadas, Boca del Rio and Marcol which will be happening in May and June. Pastor Braulio and Tino are heading these events up. 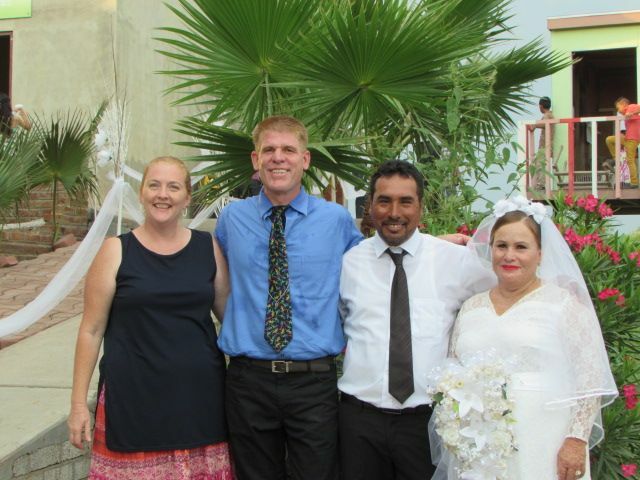 Praise God for Braulio and Pily and all their hard work in everything they are involved in! Pray for Braulio's mom who is experiencing some health issues. Pray for Pastor Narciso who is beginning a welding business. Praise God for the new tools, including a tube bender, that we'll be taking down to him in July. Pray for Joaquin, Luz and Kevin as they work through the process of obtaining visas to travel to the US with us in October. Pray for Fabian and Sarah as they wait expectantly for Fabian's work visa which should arrive very soon. They hope to eventually relocate to San Antonio, Texas, where Fabian has been offered a job until they are able to return to Sonora to continue their ministry in the mountains there. Praise God for providing a car for Jessee! He has been working for the past couple of weeks in Tucson, saving up money to buy a car. Yesterday, we found a great deal on an old Corolla and Jessee is very excited! Now he can save up for the traveling he wants to do in Mexico visiting the various missions and churches we work with there.